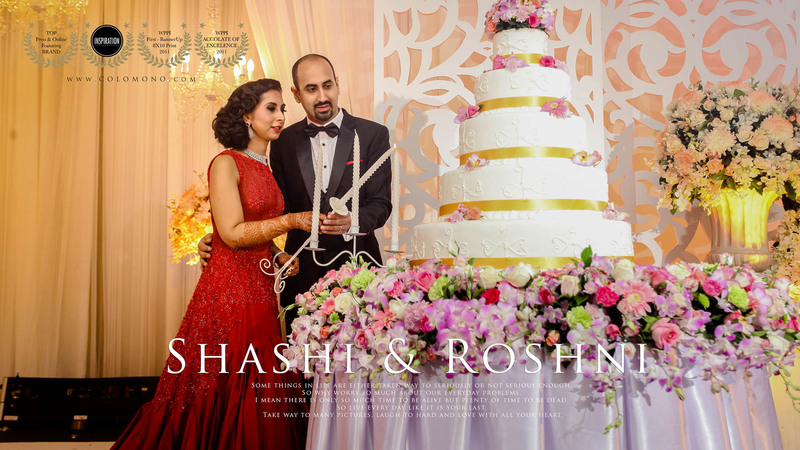 Where is the essence of GRANDEUR and REGAL if every wedding videography is captured in the same, conventional manner? That’s why we at COLOMONO believe that wedding videography should be something more meaningful, to make an emotional connection with all viewers. Not forgetting, the documentation of the entire traditional wedding and meaningful rituals. That is how our director Wills, came up with the idea of wedding film- where we produce a short feature film out of every wedding at a fraction of the cost of a full flash movie. This took us years but, upon carefully scrutinising wedding photography and videography revolution, our directors Jay and Wills started their entrepreneurship spirit and converted every of their years of knowledge and experiences into raising the brand COLOMONO worldwide! And, 2010 is the year where we formed our own COLOMONIAN crews with assigning roles tailored to each and everyone’s talents, making sure the reliability and efficiency is at the highest because, as cliché as it sounds, there is no take two in a wedding! This website showcases not only works from many of the beautiful weddings COLOMONO privileged to photograph & film, but also reveals glimpses of our personality. Here is an opportunity to share some great moments as well as real experiences, real emotions and real character. 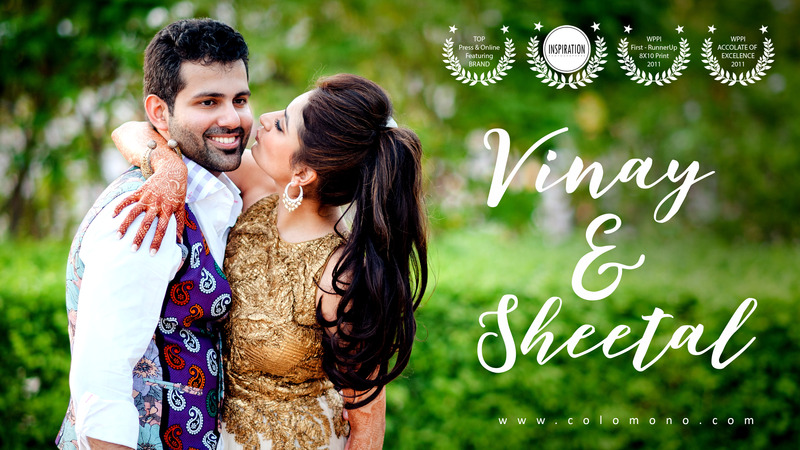 COLOMONO hope prospective clients will be able to not only explore our photography and videography style, but will also find inspiring ideas, and tips for their own wedding planning! COLOMONO – the name of the craftsmanship we put through our lenses for 8 years now and it has brought us numbers of awards and recognition, locally and internationally. As Winston Churchill once said the price of greatness is responsibility, we at COLOMONO would proudly carry the responsibility of documenting your intimate moment as you believed in our great pride we take for it. #throwback2012 We are honoured to be part of this private event of our former Malaysia I love you not only for what you are, but for what I am when I am with you. To the world you may be one person, but to one person you are the world. The best feeling is when you look at him and he’s already staring. I want someone I can laugh and be silly with. Can we just have only a total of 2-3 man crews for our wedding? YES, It’s possible, based on our years of professionalism and experience, not necessarily more means better but for Indian Weddings, we know what client needs and what takes place during each events. Therefore, the minimum standards of manpower given in the package is always advisable. 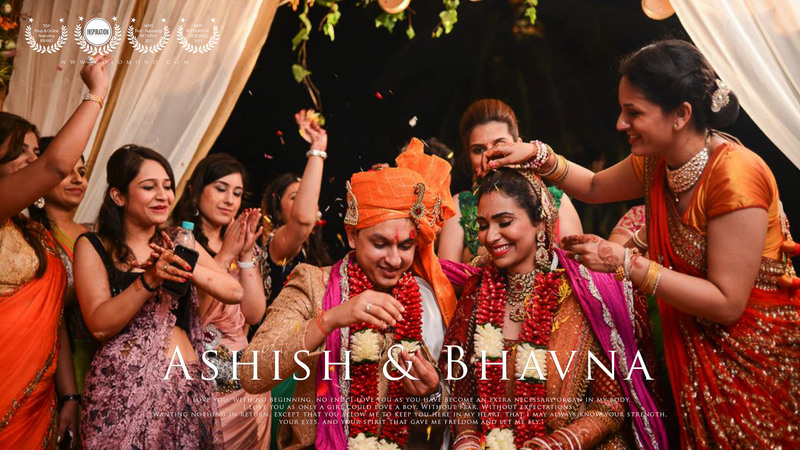 It’s a once in a lifetime wedding, your very own wedding story, which is precious even to us! 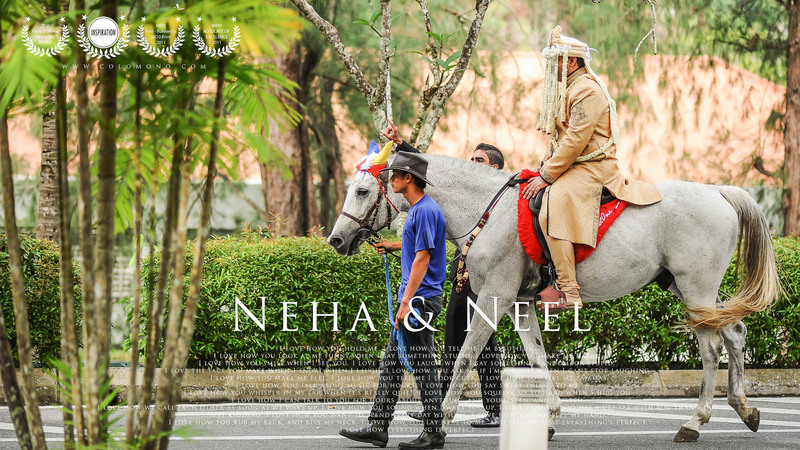 We do hope that your story can be told in a more complete structure in each of every COLOMONIANs capable hand, and with the warmest feelings in our palms produce a touching wedding film which is especially just for you. Where do we need to locate the crews during destination wedding? Our crew location must be at nearest to the venue, within minimal walking distance is the preferred solution, unless a private 24 hours personal driver can be provided. We have lots of expensive gears to carry, and for destination wedding it is always best to cut down on the risks such as gear malfunction, broken gears, missing gears, car breakdown, crew fatigue, event mishaps, and miscommunication and etc. The shooting crew may also need to travel to and from the couple’s venue, as shooting takes place over several days. Having a place that is closer would allow us to have greater flexibility in our shooting schedule and give us more space to arrange different shots, for example if a planned timelapse shot has to be canceled due to bad weather, we can easily re-plan to take the shot at a later time if we can easily access the venue. The same goes for conducting interviews, where we can keep in close contact with the interviewees. Is it possible to have each and everyone that came to our wedding in the video? Wedding film is all about the story of the couple, friends and family. Yes, we always try our very best to include everyone in the film. However, every film have it’s structure, it’s hype and it’s touching point, therefore we are always on alert to make sure great and important moments are captured. Guests who really engaged to the wedding, open up themselves and have real fun on the dance floor will definitely be filmed by COLOMONO. Can we request for every photos to be cropped, manipulated, slimming effect and for video too? COLOMONO always make sure all our photos and film colors are tastefully edited. Journalistic theory is a huge influence on all of us, so we aim to show what is meant by real moments so that everyone can treasure it. Yes, we are able to choose 10 to edit to your very own preference but of course the extra time and effort does pay off. For video, we are afraid the technology currently has yet to reach this stage. Regarding the Long RAW coverage video, are we expecting cinematic output too for that particular version? 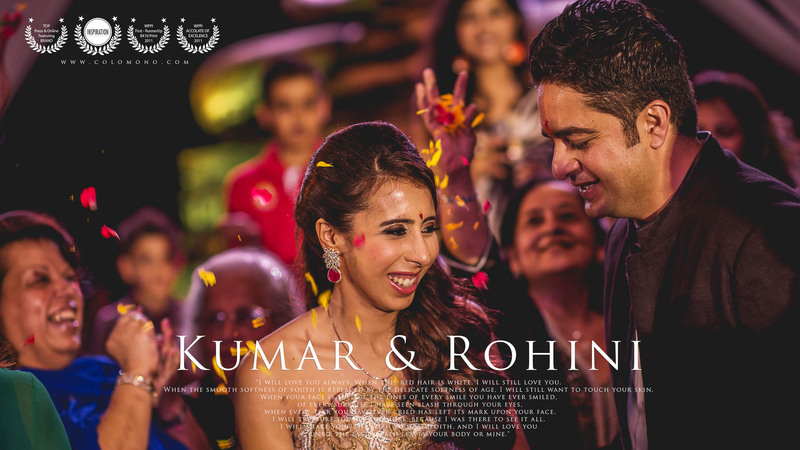 Long RAW Coverage Video is always the best option to goes along with cinematic wedding film as a package. It is a video of 6-7 hours, sometimes even up to 8 hours. The purpose of a long RAW coverage video is mainly for a complete event view, documenting every event that actually happened throughout the few days. We feel that this caters to parents and grandparents who will love to watch it, and couple will find this version of video very memorable and meaningful after 10 years. It’s a reminder of and witness to the entire wedding atmosphere where two becomes one accompanied by all close family and friends, capturing all the precious moments so that it will never be lost. We only provide cinematic style for the Express Edit Film for everyone to watch during the last day of the reception. Good news is, for clients who signed up COLOMONO exclusive package gets a cinematic long highlights as well (20-30mins). Yes, for this version, it’s a cinematic film. Why does it takes so long (124 days) appx. 4 months for delivery? To sync between clips per event takes a lot of effort. Our footages are the result of a compilation of many mini second clips. Let’s put it this way, we move the system of how people shoot movie, convert this style to shoot our clients wedding film. Yet understanding that wedding couple and family also needs full event coverage type of video, we have to put 20 times more effort to join each and every clips together according to time, sound and moment from different cameras. Someone told us, it is worth the wait. Any ways to fasten the post-production progress? Yes and we always try our best to make sure our clients happy. Please refer to our Exclusive Package. What sums up your price/value? We are a multi international awards winning company, and also one of the most frequent media published company in this wedding industry. A reliable company with a proper company system is always what a couple/client should take into serious consideration when choosing over a wedding production. We do not & never runs it as a freelance community, hence, there are departments handling different progress from pre wedding to post wedding follow ups from specific trained employees station in the office during working hours. Since we are selling our artistic service, not a product, therefore, only very limited weddings we are able to handle per year. Hence, every cost counts! Ever heard of friends or relatives chasing over photographers or videographers for pictures and videos? Here in COLOMONO, we do it differently, we chase after you instead. This simply means, only clients delay us, we could never delay our clients. 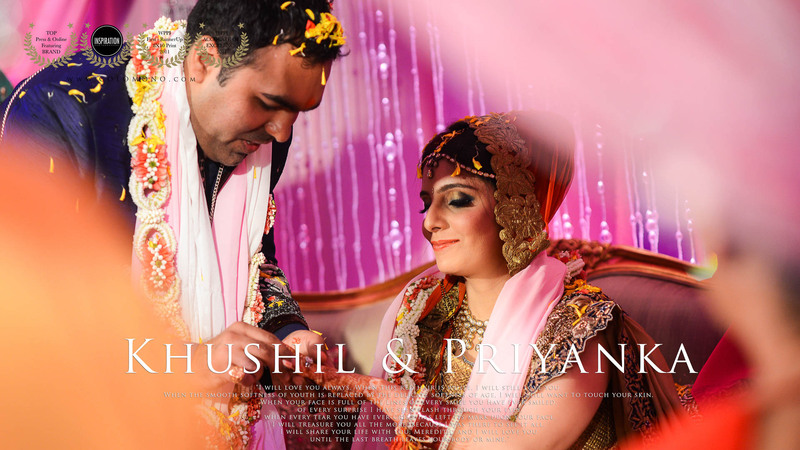 We are also from the filming background with high achievement and we understand indian weddings. Can we discuss with the production crew on our preferred music and concept? Yes. We are always happy and open for new ideas. As long as it’s achievable, won’t affect the filming systems and structure, time and risks, we are happy to work closely with the couple with their preferred concept. Of course, we will still offer our humble piece of advice in return if we know the outcome won’t turn out good or not suitable. Can we get full coverage for our After Party too? Yes. It’s possible. The thing is, guests during the after party, they are in a chilling mood and stress free, so they are able to rest properly to the max for the next day or the day after. We as filming crew, we too need to rest well and perform up to standard throughout all day, and stay alert at all time, making sure all camera footages are well backed up. Hence, there are terms and conditions that apply. Can you guys find solution for the sound, projector and lights? We strongly suggest that couples seek the assistance of an event planner to make sure their events can proceed smoothly. We make it our responsibility to make sure all our provided services, photos and video are smooth but the responsibility for any technical problem which is totally out of the range of our services, we’re afraid it’s out of our control. Are there any revisions allowed after we got our final delivery? Can we give you our wedding footages by other companies / crews and help us to edit COLOMONO wedding film style? Any extra note we need to know to make sure your crew filming progress is at smoothest? Most of the time, we like to take nice environmental shots to tell a more complete story for the couples wedding. Hence, hotel environments are a must (at least). Couples may have to try give the hotel management a note if hotel management interruption happens to slow down the filming progress. Time is precious for Indian Wedding, and we are making a film from an event. Though, normally this incident rarely happens. When does your wedding start? When will the wedding end? How do you get to know about us?